Dental flossing is one of the greatest tools for taking proper care of teeth health because this seemingly simple tool gives the user an opportunity to clean the surfaces that can’t be reached with the toothbrush. These are the areas located right between two teeth and right under the gum line. Flossing, together with brushing, helps people eliminate plaque. This substance accumulates over time and becomes harder. It is located on the teeth and can cause a lot of problems. In case plaque is left for a long time, these layers of plaque will trigger gum disease and tooth decay. This is definitely something that you don’t want to experience. So, it is crucial to learn how to use dental floss on your healthy teeth in case you want to keep them healthy. Ordinary dentists or specialized dentists will be glad to show you how to use dental flossing in the right way. In order to learn more about this activity keep reading because we will explain a few things. First of all, let’s mention that there are different types of dental floss out there and some of these types of more suitable for specific categories of people (or teeth to be more precise). 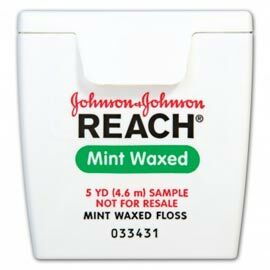 Individuals can choose between waxed and unwaxed floss, flavored and unflavored floss, standard and tape types of floss. According to many experts, it is much easier to use a waxed floss to get rid of the leftovers stuck between teeth compared to unwaxed floss. In addition, flavored dental floss almost always makes your breath feel fresher and it is a perfect solution for situations in which using a toothbrush or mouthwash is not an option. Finally, we should mention the tape dental floss. This floss is much thicker compared to regular floss which means that it is useful for individuals that have relatively wide gaps between all or some of their teeth. Today, manufacturers of dental products are producing new dental floss options that rely on synthetic materials that are stronger and smoother than ever before. If you have any dilemmas, ask your dentist about their opinion. It’s also good to point out that there are many individuals dealing with arthritis or other problems that limit their movement that find the use of dental floss difficult. These individuals can use floss holders or intra-dental cleaners. We hope that this article will encourage you to use dental flossing as part of your daily routine.